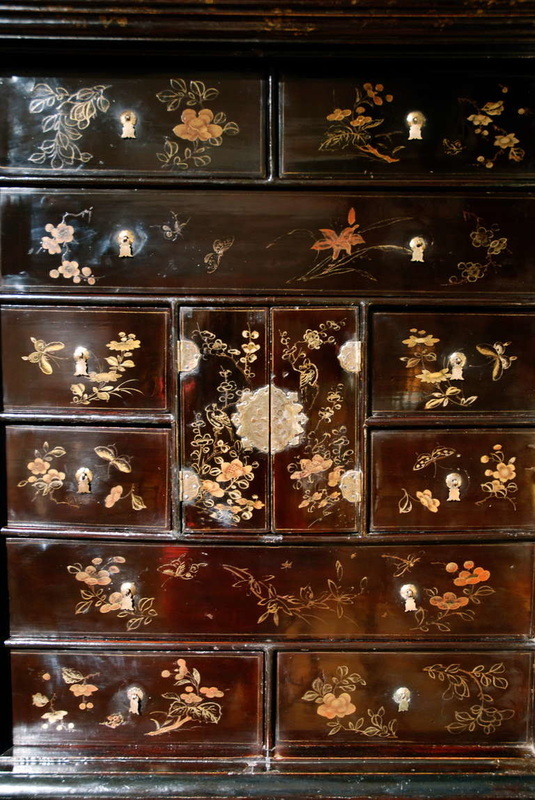 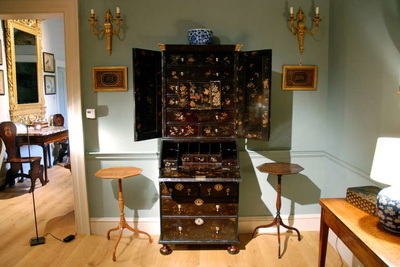 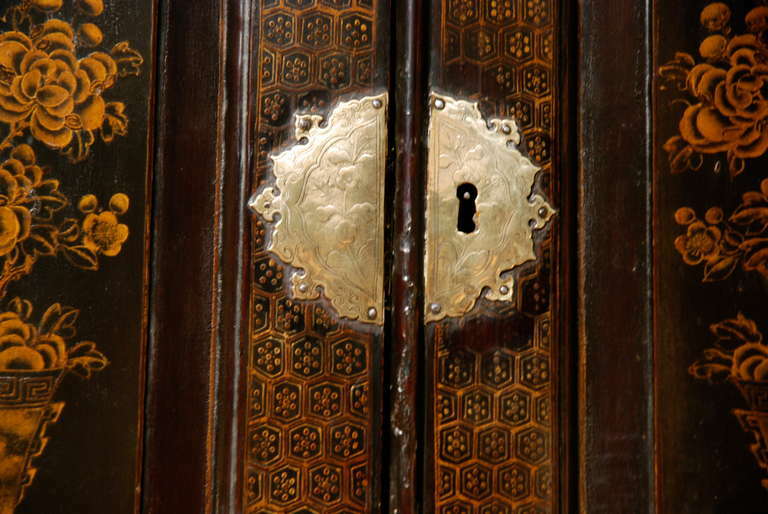 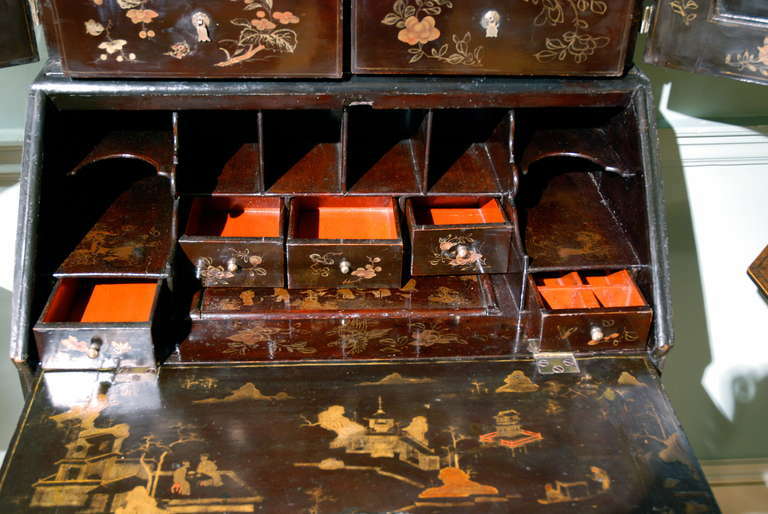 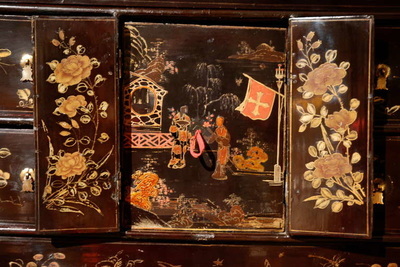 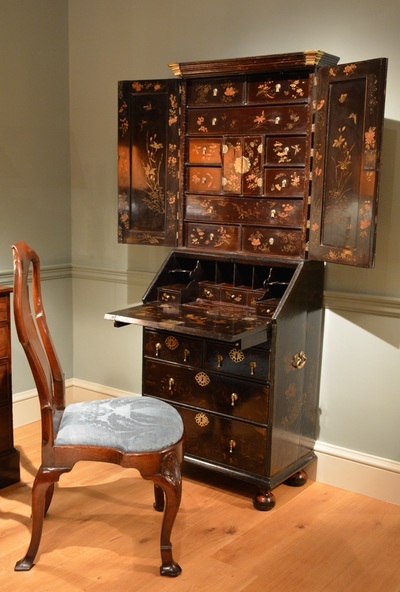 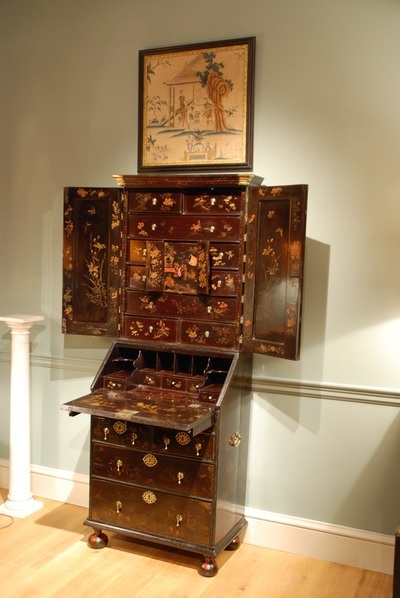 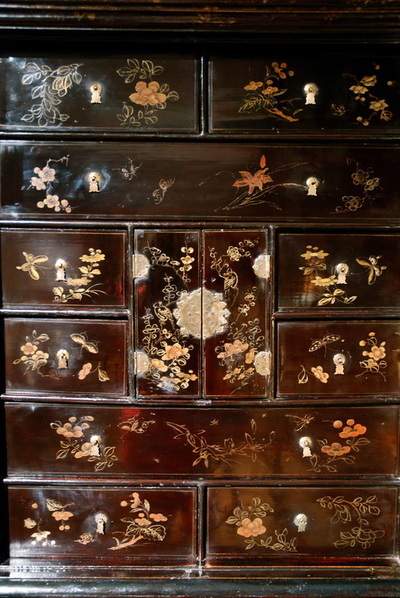 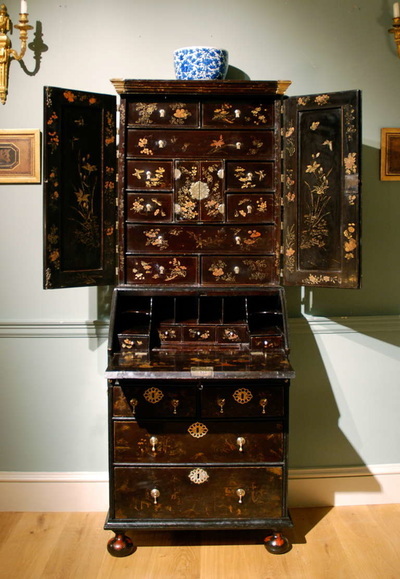 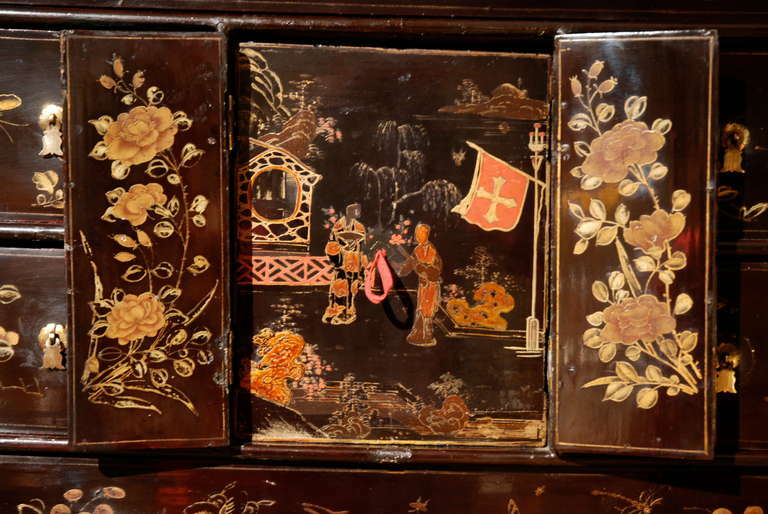 A small early 18th Century lacquer bureau bookcase. 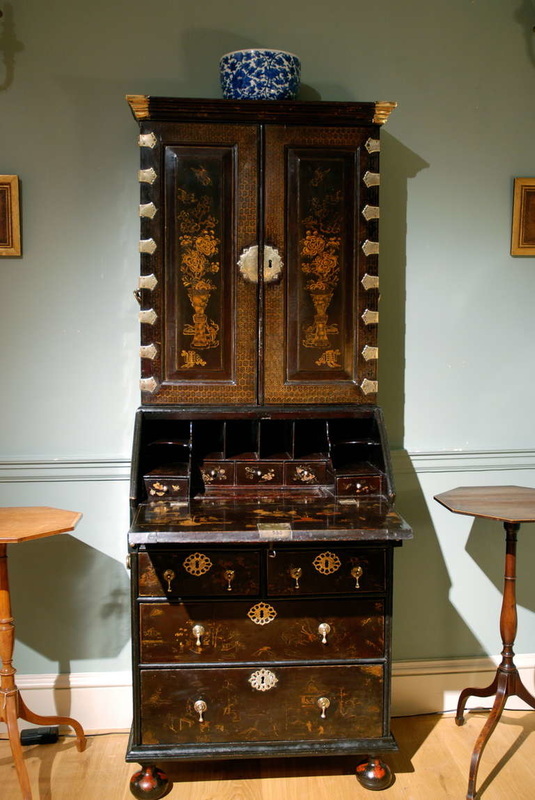 This is an extremely rare example of a bureau bookcase made in England, and shipped out to China to be lacquered. Whilst in China the Chinese workmen have removed the simple shelves from the upper section and installed a series of drawers surrounding the central cupboard. This piece retains it's original brassware and bun feet. 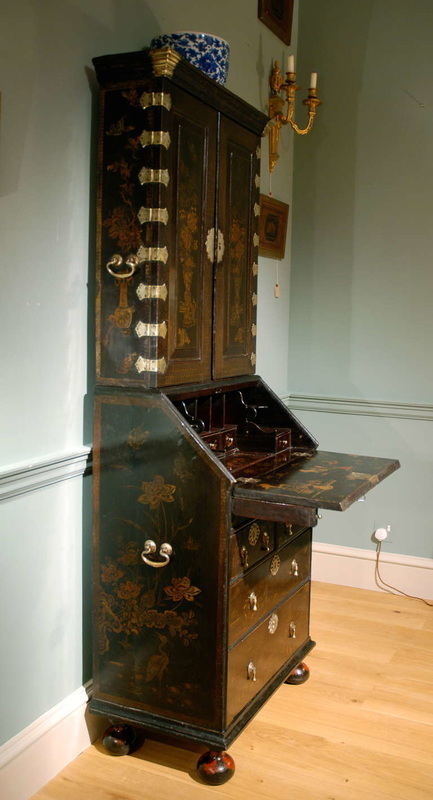 Height 71" Width 26" Depth 15.5"